The crazy eight ball (8 ball) is the perfect practical joke! This eight ball is regular in every way but one: it is weighted off-center. When this ball rolls, it wiggles and rolls off to the side, and sometimes even changes direction. Imagine the laughs you'll get when your opponent thinks he is seeing things. 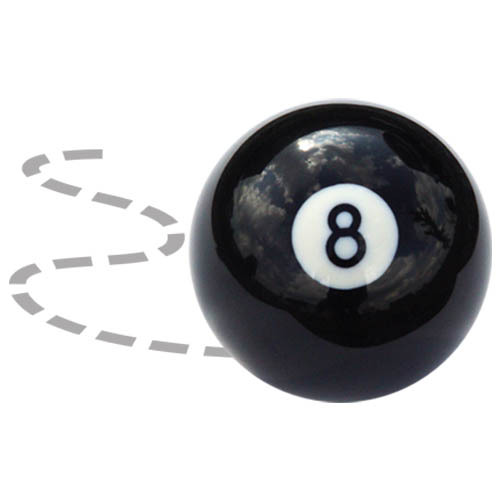 The crazy 8 ball makes a great gift, or is even better to just have around for the trickster in all of us. One added value of the crazy 8 ball over the crazy cue ball is that your opponent probably won't notice it until they go for their last shot to win the game!